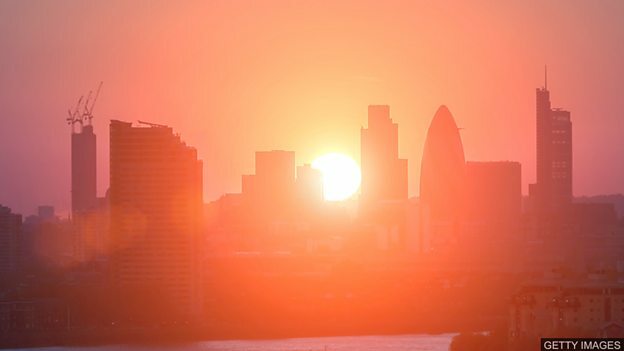 The blazing summer of 2018 was the joint warmest for the UK since records began in 1910. Met Office researchers have now analysed the record-breaking temperatures, using climate models that can simulate the world with or without the impact of fossil fuel emissions. According to the scientists, in the absence of global warming, the odds of a UK heatwave like this summer's were less than half a percent in any given year. But a changing climate means this has now risen to 12%, or about once every eight years. By looking at records of temperatures in England that date back three hundred years, the Met Office was able to say that summers as warm as 2018 were very rare before the Industrial Revolution. And while some people might welcome the idea of having more hot summers in the UK, Met Office researchers said it was not good news, especially for vulnerable elderly people, for farmers, and for those who work outdoors. 1. True or false? Summers as warm as 2018 were quite common before the Industrial Revolution. 2. What have Met Office researchers used to analyse the record-breaking temperatures? 3. According to Met Office researchers, who suffer the most from more hot summers in the UK? 4. Which phrase in the text means ‘without’? False. Met Office was able to say that summers as warm as 2018 were very rare before the Industrial Revolution. They have used climate models that can simulate the world with or without the impact of fossil fuel emissions. Vulnerable elderly people, for farmers, and for those who work outdoors suffer the most from more hot summers in the UK.